Those culpable in the death of Queens college students must be prosecuted – Saraki – Royal Times of Nigeria. Senate President Bukola Saraki on Thursday said those found culpable in the death of students of Queens College Lagos will be prosecuted. it could be recalled that some students of the school had died due to the use of contaminated water for cooking at the school’s hostel. 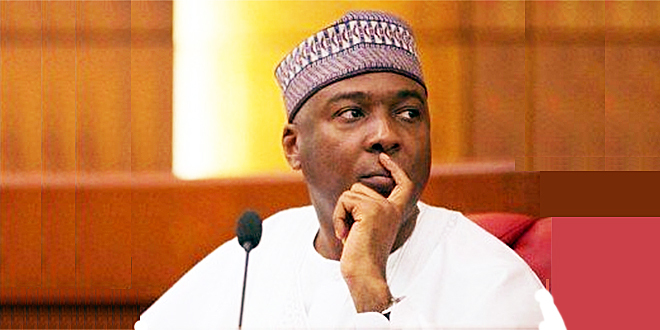 Saraki spoke when the Advocacy Group of Queens College Old Girls’ Association, led by its National President, Dr. Frances Funmi Ajose, submitted a petition concerning the incident in the school. The Senate President said; “In every civilised society, it is very shameful that young girls could lose their lives in this kind of manner. Let me on behalf of the Senate, express our condolences to the family and management of the school. The best we can do is to make sure that this kind of incident never happens again. “I think this would have been easily avoided and we can’t continue to live in a society like this. I want to assure you that we will look into this. ‘’The Ministry of Education must tell us what they have been doing. We are sure that there had been release of funds, what have they done with it?